business model for plug-in electric, alternative fuel, and pre-owned hybrid vehicles. green car dealership. Can you give us your background and what brought you to this company? Eco-Friendly Alternative Fuel vehicles a reality now in today’s economic climate. A: Mack Sanders, Chief Executive Officer, EVCARCO INC.
possibilities. This product answers the commercial application with outstanding results. service support necessary to maintain a long term successful customer base. price and $150.00 oil barrels. I think this is only the spark of interest. also trademark a brand and obtain franchise licensing for nearly every State in the Union. involved, the more successful this “ambitious plan” will be! plug-in electric, alternative fuel, and pre-owned hybrid vehicles. Foton MD 3000 medium-duty class 3-5 trucks a year. site with solar expert, J. Peter Lynch. stock at Investorideas.com and compensates the site 500,000 144 shares in lieu of cash compensation. To become a showcase company, contact us below. Point Roberts , WA - February 28, 2011 - Investorideas.com, a leader in cleantech stock research, reports on recent wind stocks news and developments for wind companies including : Clean Wind Energy Tower(OTCBB: CWET) ,China Ming Yang Wind Power Group (NYSE: MY ), Sauer Energy, Inc. (OTCBB:SENY) and Western Wind Energy Corp.(TSX.V: WND). China Ming Yang Wind Power Group (NYSE: MY) announced Fourth Quarter results for March 9 th, and the stock is trading at $9.91, up 0.04 (0.41%). Sauer Energy, Inc. (OTCBB:SENY) traded up at $1.12, up 0.04 (3.70%) on patent news. The renewable energy stocks sector continues to create investor buzz as oil prices trade at 99.25 +1.37 +1.40%. ZHONGSHAN, China, Feb. 28, 2011 ( www.investorideas.com renewable energy/ green newswire ) - China Ming Yang Wind Power Group Limited (NYSE:MY) ("Ming Yang"), a leading and fast-growing wind turbine manufacturer in China, today announced that it will report its unaudited financial results for the fourth quarter ended December 31, 2010 on Wednesday, March 9, 2011, before the market opens in the United States. Ming Yang's management will host an earnings conference call on the same day at 8 a.m. ET (Wednesday, March 9 at 9 p.m. Beijing/Hong Kong time). NEWBURY PARK, CA-- 02/28/11) - Sauer Energy, Inc. ("SEI") (OTC.BB:SENY - News), a developer and producer of home and enterprise scale vertical axis wind turbine (VAWT) systems, today announced that the United States Patent and Trademark Office (USPTO) has issued it a new patent and will issue a patent number soon. VANCOUVER, Feb. 24 /- Western Wind Energy Corp. ("Western Wind") is pleased to announce that the first phase of the valuation process pursuant to the Substantial Issuer Bid process is completed. Western Wind under recommendation from one of its lenders, engaged the world renowned DAI Management Consultants, Inc., ("DAI") to perform a three-part valuation process of all of the Company's assets, both financial and physical. The first phase is a comprehensive valuation of the 120 MW Windstar Project located in Tehachapi, California as of the expected commercial operations date. Clean Wind Energy, Inc., a wholly owned subsidiary of Clean Wind Energy Tower, Inc., was established to commercialize a number of proven and validated technologies and construction systems into a single large downdraft tower structure that use benevolent, non-toxic natural elements to generate electricity and clean water economically by integrating and synthesizing numerous proven as well as emerging technologies. 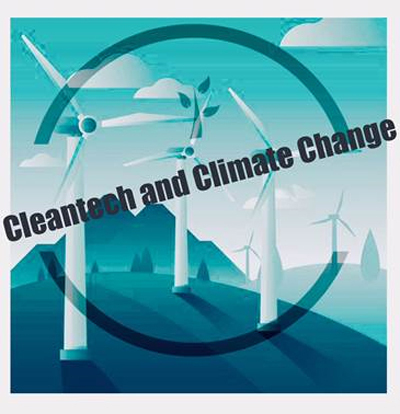 In addition to constructing Downdraft Towers in the United States and abroad, Clean Wind Energy, Inc. has assembled a world class team of experienced business professionals, engineers and scientists with access to the breakthrough energy research upon which this technology is founded and the proven ability to bring the idea to market. Clean Wind has filed several patents that the Company believes will further enhance this potentially revolutionary technology. The Company intends to establish partnerships at home and abroad to propagate these systems and meet increasing global demand for clean water and electricity . Disclaimer/ Disclosure : The following news is part of the Clean Wind Energy Tower, Inc. (OTCBB: CWET) advertising program with Investorideas.com. Clean Wind Energy, Inc. compensates investorideas.com (one thousand five hundred per month, 100,000 144 shares ) to be showcased as a renewable energy stock within its hub of sites and blogs.Our sites do not make recommendations. Nothing on our sites should be construed as an offer or solicitation to buy or sell products or securities. We attempt to research thoroughly, but we offer no guarantees as to the accuracy of information presented. All Information relating to featured companies is sourced from public documents and/ or the company and its management and is not the opinion of Investorideas.com. February 25, 2011 (Investorideas.com renewable energy/green newswire) Investorideas.com a leading in cleantech investor stock research reports Mega Stock Picks Initiated Coverage on EVCARCO and Its Environmentally Friendly Auto Dealership Brand. Other recent news; EVCARCO, Inc. (OTCBB: EVCA) Accepts Invitation to Exhibit at the Ft. Worth and Dallas Auto Shows. EVCARCO, Inc. (OTC.BB: EVCA) announced that Mega Stock Picks (www.megastockpicks.com), a reputable internet-based free subscriber newsletter, has initiated coverage on EVCARCO. Widely known for its successful stock alerts which focus mainly on Big Board securities, Mega Stock Picks has issued a strong buy alert for EVCA with a 6 month price target of $0.70. Mega Stock Picks has given EVCA its strongest buy recommendation. Mack Sanders, EVCA's CEO, stated, "EVCARCO is developing their business structure and reaching out to incorporate new partners and developing long term associations with industry leaders on the forefront of technological innovation. Being recognized by this Company only helps shine the light of change that EVCARCO is making in the automobile industry. EVCARCO Inc. is the first automotive retail group dedicated to deploying a coast-to-coast network of environmentally friendly franchised dealerships and vehicles. EVCARCO is bringing to market the most advanced clean technologies available in plug-in electric, alternative fuel, and pre-owned hybrid vehicles. This Press Release contains certain forward looking statements that involve substantial risks and uncertainties, including, but not limited to, the results of ongoing clinical studies, economic conditions, product and technology development, production efficiencies, product demand, competitive products, competitive environment, successful testing and government regulatory issues. Additional risks are identified in the company's filings made with the Securities and Exchange Commission. FT. WORTH, TX - February 18, 2011 (Investorideas.com renewable energy/green newswire) - EVCARCO (OTCBB:EVCA) (Pinksheets:EVCA) announced today that it will be exhibiting the Company's current green vehicle offerings at the Ft. Worth Auto Show, being held March 17th-20th at the Ft. Worth Convention Center and the Dallas Auto Show, being held on April 7th-10th at the Dallas Convention Center. EVCARCO's exhibits will be located in the Green Exhibitor Section dedicated to eco-friendly products. FT. WORTH, TX - February 15, 2011 (Investorideas.com renewable energy/green newswire) - EVCARCO (OTCBB: EVCA) announced today that it will sell CNG powered Foton MD 3000 medium-duty class 3-5 trucks at its green auto dealerships. Foton Motor Co. is the largest commercial vehicle manufacturer in China, its existing assets are in excess of 5 Billion Dollars U.S. and they have a staff of 28,000 employees. Foton has the capacity to produce up to 26,000 units of the Foton MD 3000 medium-duty class 3-5 trucks a year. Disclaimer: Our sites do not make recommendations. Nothing on our sites should be construed as an offer or solicitation to buy or sell products or securities. We attempt to research thoroughly, but we offer no guarantees as to the accuracy of information presented. All Information relating to featured companies is sourced from public documents and/ or the company and is not the opinion of our web sites. Disclosure: Investorideas is compensated by featured green companies EVCARCO (OTCBB: EVCA) is a showcase stock at Investorideas.com and compensates the site 500,000 144 shares in lieu of cash compensation. ahead, is forcing Government, consumers and investors to take a serious look at alternatives. TSLA) was trading up in early trading; $23.77, up 1.24 (5.50%) 10:17AM EST. used as high technology filtration element in various medical and industrial applications. manufacturers and converters who incorporate its products into their finished goods. 500,000 144 shares in lieu of cash compensation. benefits and advantages of the unique Downdraft wind tower technology. A: Ronald W. Pickett, President and CEO, Chairman of Clean Wind Energy Tower, Inc.
electricity for a long term separates the Tower from other alternative sources. and is there anything comparable out there? attorney has researched this technique and believes it has a unique application to our system. Can you explain the Dual Renewable System technology? could actually be breaking ground within 12-24 months. demand for clean water and electricity. Company believes will further enhance this potentially revolutionary technology. February 24, 2011 (Investorideas.com renewable energy/green newswire) Investorideas.com a leader in cleantech investor research, reports on recent clean energy vehicle news for investors following the sector. With oil prices surging in Wednesday’s trading, some of the players in the clean energy and alternative energy vehicle market had significant gains. Clean Energy Fuels Corp. (Nasdaq:CLNE) was up $ 0.60 on the close, followed by another run in after hours trading. Westport Innovations Inc (NasdaqGS: WPRT ) (WPT.TO) closed at 17.39., up $ 0.93 (5.65%), with after market gains of $0.21 (1.21%). Clean Energy fuels more than 19,900 vehicles at 211 strategic locations across the United States and Canada with a broad customer base in the refuse, transit, trucking, shuttle, taxi, airport and municipal fleet markets. It owns (70%) and operates a landfill gas facility in Dallas that produces renewable methane gas, or biomethane, for delivery in the nation's gas pipeline network. It owns and operates LNG production plants in Willis, Texas and Boron, Calif. with combined capacity of 260,000 LNG gallons per day and that are designed to expand to 340,000 LNG gallons per day as demand increases. NorthStar, a wholly owned subsidiary, is the recognized leader in LNG/LCNG (liquefied to compressed natural gas) fueling system technologies and station construction and operations. BAF Technologies, Inc., a wholly owned subsidiary, is a leading provider of natural gas vehicle systems and conversions for taxis, vans, pick-up trucks and shuttle buses. IMW Industries, Ltd., a wholly owned subsidiary based in Canada, is a leading supplier of compressed natural gas equipment for vehicle fueling and industrial applications with more than 1,000 installations in 24 countries. News and Stories Published at www.investorideas.com Clean Energy Stocks Blog for Green Investors: Research Renewable Energy and water stocks as an Investor Ideas member and gain access to global green stock directories. Become an Investorideas.com member and research stocks and invest in cleantech : get login access to all 4 cleantech stock directories including water stocks and renewable energy stocks : http://www.investorideas.com/membership/. Disclaimer: this is not a solicitation to buy or sell stocks, or an endorsement for any company. Cleantech green stocks - become a showcase green stock at www.investorideas.com - a leader in cleantech investor research for as little as $1000 month. Ecotality, Inc. (NasdaqCM: ECTY) reports in a press release today, "Electric vehicles are a central strategy for breaking America's addiction to foreign oil, and I'm thrilled that Oregon is pioneering their deployment," said U.S. Senator Jeff Merkley. "I'm working hard at the federal level to promote their strategy. I look forward to the day in the near future where I can drive all across Oregon in an electric vehicle." A123 Systems, Inc. (Nasdaq:AONE ) develops and manufactures advanced lithium ion batteries and battery systems for the transportation, electric grid services and commercial markets. Headquartered in Massachusetts and founded in 2001, A123 Systems' proprietary nanoscale electrode technology is built on initial developments from the Massachusetts Institute of Technology. For additional information please visit www.a123systems.com. PORTLAND, Ore. - ECOtality, Inc. (NASDAQ: ECTY), a leader in clean electric transportation and storage technologies, today commenced the installation of the company’s flagship Blink™ Level 2 Residential Charging Stations in Oregon. As project manager of The EV Project, the largest rollout of electric vehicle (EV) infrastructure and EVs in U.S. history, the company will install Blink residential EV chargers in homes throughout EV Project regions nationwide to support the launch of more than 8,300 EVs. Today’s launch event outside of Portland marks the first step in the deployment of a rich charging infrastructure, as well as the culmination of nearly two years of EV Project planning. "Electric vehicles are a central strategy for breaking America's addiction to foreign oil, and I'm thrilled that Oregon is pioneering their deployment,” said U.S. Senator Jeff Merkley. "I'm working hard at the federal level to promote their strategy. I look forward to the day in the near future where I can drive all across Oregon in an electric vehicle." ROSSENS, Switzerland, Feb. 22, 2011 - Maxwell Technologies, Inc. (Nasdaq:MXWL) announced today that a leading producer of instrument transformers for the Russian utility grid has selected CONDIS® capacitive voltage dividers (CVD) produced by Maxwell's Swiss subsidiary for integration into thousands of capacitive voltage transformers that will be installed over the next several years as part of a multi-billion dollar renovation of Russia's utility infrastructure. February 22, 2011 (Investorideas.com renewable energy/green newswire) Investorideas.com a leading global investor and industry portal covering the green and renewable energy sector releases the company profile for electric car and natural gas vehicle stock, EVCARCO (OTCBB: EVCA). Point Roberts, South Salem, New York - February 21, 2011 � www.Investorideas.com, a leader in cleantech stock research, issues a new solar stocks review from contributor, J. Peter Lynch for February 21st. An overall summary and table are below which gives a current snap shot of the "technical picture" of each of our solar stocks. This is updated weekly and also whenever there are any significant changes. Note: At this time there is a general market comment - advising caution at this time. The majority of our stocks (14 of 22) have seen their monthly momentum turn positive in the last week or two and 17 of 22 are showing positive weekly momentum � all short term signs that the solar sector seems to be getting stronger. At this time the strongest stocks are: JKS, LDK, SOL, SOLR, TSL and First Solar (FSLR). Two of our "solar seven" (JASO and SOLF) have had their rating reduced from Strong "S" to Neutral "N" last week. Critical levels for the weakest of our "solar seven"
JASO - starting to show some strength. The stock closed above $8.25 showing that it has regained its upside strength. Another week or so of this kind of positive action will move the stock back to an S rating. SOLF � New symbol � HSOL is at a critical long term support level. A close below $8.00 it would trigger a sell signal. EMKR � has been showing recent strength, but is very overbought at this time and I think we will see the stock correct back to a more reasonable level. SPWRA � starting to show some real strength for the first time in quite a while and has moved up to a "S" strong rating from N.
YGE � has been showing strength and has moved to an N rating up from W.
Investor sentiment is considered to be a contrary indicator and when too many investors or investment newsletters are Bullish � it is a time to be cautious. At the current time BOTH the American Association of Individual Investors (AAII) poll of its members and the Investors Intelligence poll of investment newsletters are above their danger zones of 50%. There is no guarantee of anything in the stock market, as we all know. But levels of sentiment so extremely bullish would historically indicate at least the potential for a market correction of 10% to 15%. On the technical side the market is very overbought above its 200 day moving average. In fact, the current overbought condition is more extreme than any important market top in the last 10 years � certainly another significant reason to be very cautious at this juncture in the market. Keep in mind that stocks can stay overextended for long periods of time. As a result I am advising caution at this time � since the number one rule of investing is: Not to lose money and this is not the time to initiate positions unless you are a shorter term trader and watch the market very closely. 50 Day Moving Average (MA) - this is a short term measure of a stock's current technical picture. If the current price is above the 50 day MA it is a positive indication and if it is below the 50 Day MA it is a negative indication. Overall Trend - this is the overall longer term trend of the stock (Positive + or Negative -). When solar stocks were badly underperforming the market almost all our solar stocks were in negative trends - the stocks that turn to a positive trend first are usually the strongest stocks relative to the group as a whole. Weekly Momentum (Mom.) and Number of weeks positive or negative - this is a measure of the short term momentum of a stock. It is derived by comparing the one week moving average (MA) of the stock to the five week moving average. When the one week MA goes ABOVE the 5 week MA the weekly momentum turns positive, when it goes BELOW the 5 week MA the weekly momentum turns negative. Momentum, on average, stays positive or negative for between 6 and 8 weeks. So a stock that has been negative for 1 or 2 weeks will usually have at least a few more weeks of negative action to come. This would be useful, for example, if someone wanted to buy a particular stock and its momentum just shifted to negative, they will likely be able to buy the stock lower if they are patient and wait for a pullback in the price of the stock. Relative Strength - this is a measure of the strength of an individual stock relative to a widely followed index - in this case the Standard and Poor's 500 (S&P 500). If the relative strength is “buy” this means that the individual stock is stronger relative to the index and vice versa. Rating - this a my technical rating on each of the solar stocks after reviewing the technical indicators (momentum and trend) plus a number of additional indicators (monthly momentum, strength relative to the S&P 500 stock index, overbought/oversold status etc.) to arrive at a comparative rating as to how each stock stands technically. N = neutral, W = weak and S = strong. An asterisk on the rating indicates a change of rating for that stock. Point Roberts, South Salem, New York - February 21, 2011 - Investorideas.com, a leader in cleantech stock research, releases a sector close-up on solar stock SunPower Corporation (NasdaqGS: SPWRA). Several analysts are looking at the upside in this stock as it just reached an eleven month high. Investorideas.com featured solar stocks analyst, J. Peter Lynch, recently noted, "Sunpower (SPWRA) has also shown improvement in relative strength - taking another step toward an upgrade in rating." Founded in 1985, SunPower Corp. (Nasdaq: SPWRA, SPWRB) designs, manufactures and delivers the planet's most powerful solar technology broadly available today. Residential, business, government and utility customers rely on the company's experience and proven results to maximize return on investment. With headquarters in San Jose, Calif., SunPower has offices in North America, Europe, Australia and Asia. For more information, visit www.sunpowercorp.com. SAN JOSE, Calif., Feb. 17, 2011 - SunPower Corp. (Nasdaq: SPWRA, SPWRB) today announced financial results for its 2010 fourth quarter and fiscal year which ended January 2, 2011. Mack Sanders, CEO of EVCARCO, stated, "The Ft. Worth and Dallas Auto Shows will provide an excellent opportunity for us to showcase our Company and our current green vehicle offerings. We look forward to visiting with the attendees and discussing out dealerships and vehicles."